3 reasons why should you ocnsider Skiing in Spring? Late season is low season, so lift passes and accommodation cost considerably less than during mid-winter. Skiing and snowboarding in late season means fewer people on the slopes, and less chance of lift queues. In general the weather is more pleasant towards the end of the winter – so you can expect more sun, longer daylight hours, and longer lift opening times; enjoy the bbqs and beer drinking that takes place on the sun terraces of slope-side cafes and bars. However, it's not uncommon to get cold weather and heavy snow even in May, so don’t assume that the sun will definitely have his hat on, and always come prepared for cold, snowy weather. The general rule when selecting a resort to go late season skiing is: head high, or head north. The higher the altitude of the ski area, the colder it is, and therefore the longer the snow lasts, so ideally, aim for resorts that have skiing at 2000m or above. 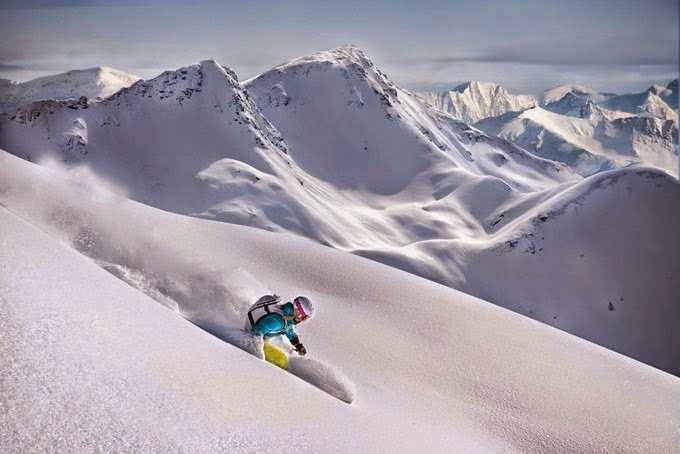 If the resort incorporates a glacier, even better, as this may mean that skiing is possible almost all year round – albeit on limited terrain and short pistes. Keep an eye on snow depths which can vary considerably from year to year, which can normally be found on your chosen resort’s website. Poor snowfall may mean lifts cease to run much earlier, whilst a heavy winter can prolong the ski season for weeks. As Europe’s highest ski resort, most of the skiing here is over 2000m, which means the snow keeps cooler for longer and the lifts keep running until early May. Part of the huge Three Valleys ski area, Val Thorens is an excellent bet for good snow conditions even late in the season. Lying 200km above the arctic circle on the border with Norway, Riksgransen is one of the world’s most northerly ski resorts and offers the opportunity to ski in the Land of the Midnight Sun. The best conditions are found later in the season and the lifts here don’t stop running until the end of June! Sweden’s number one resort which also claims to be northern Europe’s largest and most advanced, Åre boasts a season that starts in November and lasts until May. With 100 pistes to enjoy plus night skiing too, Åre is a popular choice for late season skiing. A ski resort with a glacier, winter sports enthusiasts can continue skiing until early May in the main resort. Summer skiing on the glacier then starts in June, which offers an impressive 20kms of runs and a vertical drop of over 750m. This famous Swiss ski resort has lifts that take you up to 3899m, and offers skiing till early May, before the summer skiing begins on the glacier, meaning that Zermatt is one of the few, truly year-round ski destinations in the world. With a ski area that sits between 1800m and 3500m and has access to a glacier, Sass Fee offers late-season skiers plenty of snow, whilst at the same time has chocolate-box charm not always found in other high-altitude resorts. One of the higher resorts in Europe with pistes to 3000m and a good snow record, Livigno is also known for its sunny location. It offers one of Europe’s largest terrain parks and the skiing lasts until late April/early May on a good year. Livigno’s tax-free tax status is also a considerable draw, meaning that food and drink are excellent value here. Located in Yamagata on Japan's main island, Honshu, Gassan gets so much snow (up to 8m!) during the winter, that it doesn’t even open until April because the resort is inaccessible until then! The lifts then continue to run until late July where skiers and snowboarders can enjoy almost 1000m of vertical terrain. The presence of a glacier on Blackcomb Mountain means that skiers here can keep going till June. The excellent slope grooming and snow-making facilities also help to ensure a lengthy season in what has repeatedly been voted the best ski resort in the world. With a season that typically lasts into June but also boasts over 300 days of sunshine a year, skiers and snowboarders can get the best of both worlds at one of the USA’s premier mountain resorts.